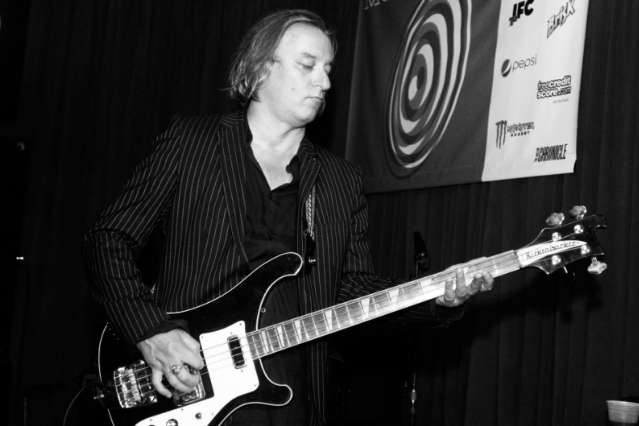 Peter Buck hasn’t been taking it easy since R.E.M. called it quits last year, lending his distinct chiming guitar sound to recordings and live shows by the Baseball Project. But this consummate team player has now decided to step out on his own. Buck’s Baseball Project collaborator Steve Wynn recently aired “10 Million BC” during a guest DJ spot on WFMU (via Slicing Up Eyebals). The song, a swampy garage-rocker that sounds like it was found lurking under a Nuggets box set, is from a forthcoming as-yet-untitled Buck solo record. It’s unclear when this record is going to come out, but rather than sweat the details, just enjoy this playfully murky three-minute scuzzball.